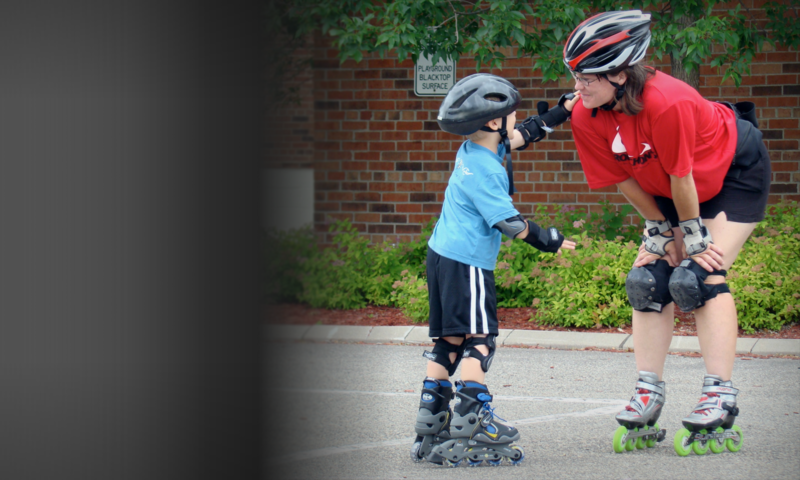 Group Beginner Inline and Quad Skate Lessons in the Twin Cities. What: Start at the VERY beginning with our two-hour introduction to inline (rollerblade) skating class. This class is for you if you want to establish a solid skating foundation, learn all the basics in detail or if you cannot stop using your heel brake. We will provide you with personal exercises to ensure you progress outside of class. If you are rolling and using your heel brake (but not efficiently) you may be best suited for our Improver class. Some Specific Skills you will learn are balancing on skates, use of equipment, how to prevent falls, how to stand still on skates, how to stand up on skates, how to propel yourself forward, how to glide, the basics of a heel stop AND a basic Y-frame turn. 63rd & Brooklyn Drive off of Nash and Brooklyn Drive. We will meet in the parking lot of Centennial West, then gather near the basketball court / park trail. Class, Skate Rental and Protective Gear (Sans Helmet) $61 plus internet fees.